REA O’Connor Murphy are pleased to offer for sale a superb opportunity to acquire circa 2.62 acres (6.47 Ha) of land at Beechfield, Monaleen, Castletroy. 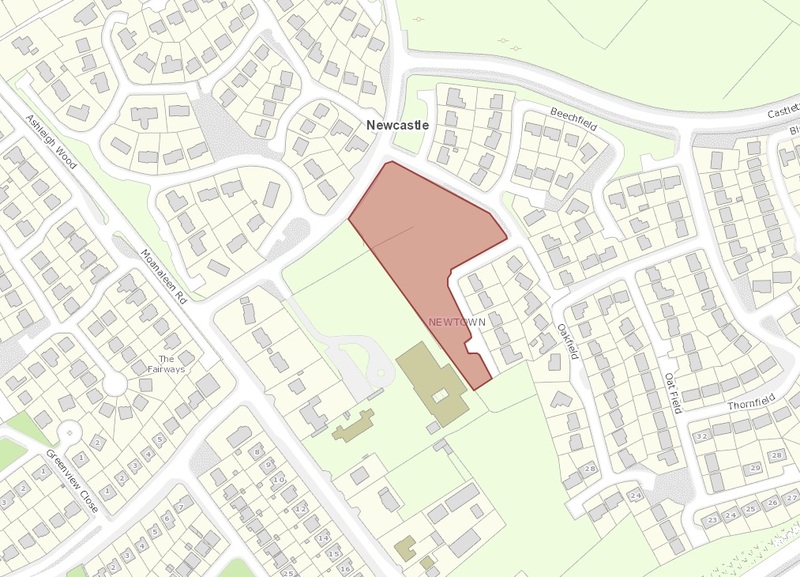 The land comprises an irregular shaped holding of circa 2.62 acres (6.47 Ha) with the benefit of full planning permission for a residential development of 6 x Detached houses on 1.57 acres (planning reference: 12/949 & 18/7020) with the remainder zoned Education & Active Open Space. The site enjoys good access on the L1121 road with the surrounding area is characterised by both modern residential estates and a number of large detached houses. The site itself is located off the Monaleen Road on the L1121 road adjacent to Beechwood housing development and Monaleen National School circa 1 km from Castletroy College and Castletroy Shopping Centre, 3.9 km from University of Limerick and 8.5km from Limerick City Centre. This area is the fastest growing area in Limerick due to its high employment, good infrastructure links and general amenities. 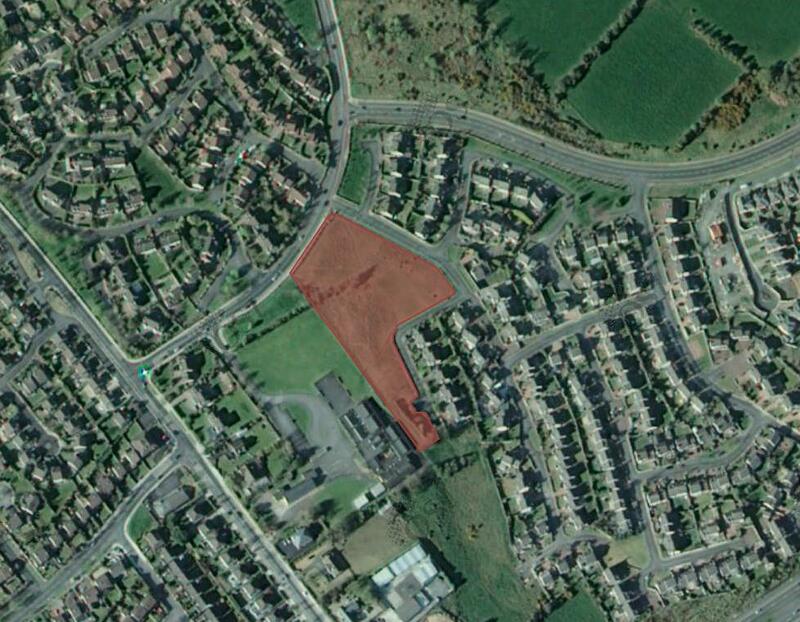 The site is bound to the West by the Monaleen Road and East by Beechfield housing estate. The M7 lies directly South of the land. Limerick is the third largest city in Ireland, located 200km southwest of Dublin City, 127km northwest of Waterford City and 100km south of Galway City. Limerick is the main service centre for the mid-west region accounting for 378,410 persons (CSO 2011). Limerick City is also home to over 20,000 students annually. Transport infrastructure in the area is strong with numerous national roads converging including N7, N20, N24 and N69. Colbert Train Station has regular direct services to Dublin serving intermediate stations such as Cork, Thurles, Templemore, Portlaoise and Kildare with additional rail links also including Ennis and Waterford. Shannon Airport is located circa 26km west of Limerick City. The Dublin Road and Castletroy area are served by numerous bus routes linking suburban and city centre locations. Services: We understand the land has access to available Mains Water and Sanitary Services. Current Zoning: The land is zoned Residential and Education & Active Open Space under the Castletroy LAP Zoning map (extended to 2019). Planning History: Planning reference 12/949 & 18/7020.